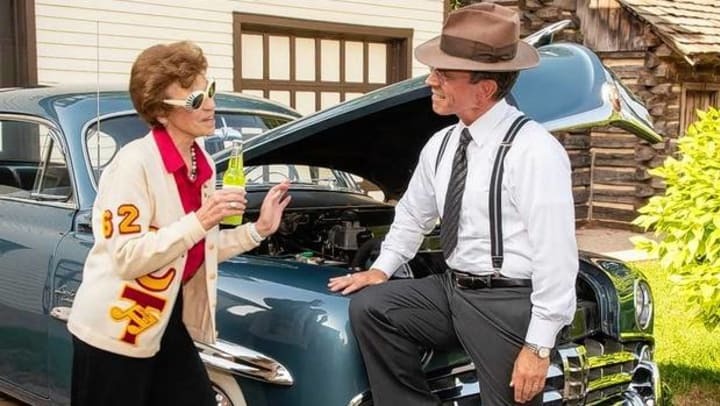 Decked out in authentic retro attire, Arlington Heights Mayor Tom Hayes and former Mayor Arlene Mulder recently helped Waverly Inn Memory Care celebrate the arrival of its pristine, 1949 Lincoln Cosmopolitan with a '40s-inspired photo shoot at the Arlington Heights Historic Society. "This car is so much more than just a car to the residents who will live at Waverly Inn. For them, it's a connection to a happy memory. Living with dementia can impact short-term memories, but being able to awaken the old, happy memories is not only our daily goal, but also a huge honor for us," said Jennifer Mallo, executive director at Waverly Inn Memory Care. "For me, this car represents a living history of memories. I kept imagining the stories the car might tell about its owners and operators over its 70-year life span. Much like the residents of Waverly Inn, there is no doubt it has traveled many miles and benefited many over the years," Hayes said. You can now find the Lincoln parked inside Waverly Inn, the newest memory care community in Arlington Heights. However, getting the car inside the building was no easy feat. 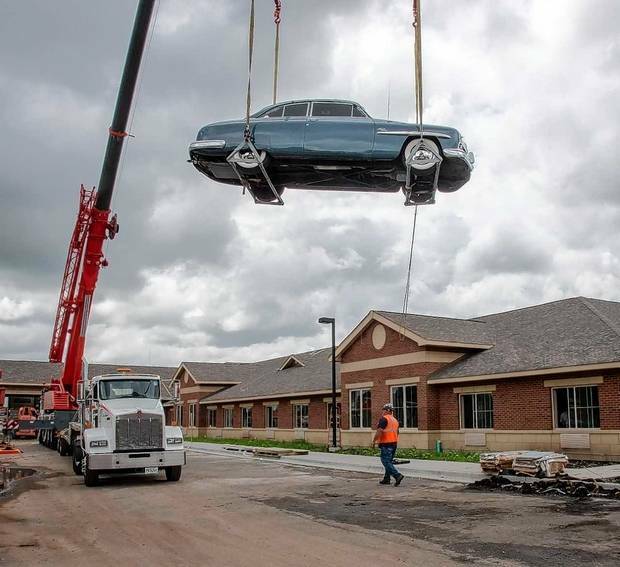 A crane was required to hoist the Lincoln hundreds of feet into the air, over the building and into the interior courtyard. "It was quite a sight to see," Mallo said. "It's not every day you see a car coasting through the air." Each Koelsch memory care community is laden with "historical surprises" like the Lincoln, aimed at awakening heartfelt nostalgia in residents -- even with the burdens of dementia. If you look at the walls in the hallways at the Waverly Inn, you'll find framed photographs of the Arlington Heights region from the 1940s, '50s and '60s, a time when many of the residents were in their youth and made strong bonds with the community. All of these historical surprises are placed with the intention of bringing residents "back" -- if only for a moment. To learn more about the dementia care practices offered at the Waverly Inn, or about other Koelsch Communities in the Chicago area, visit Koelschseniorcommunities.com.